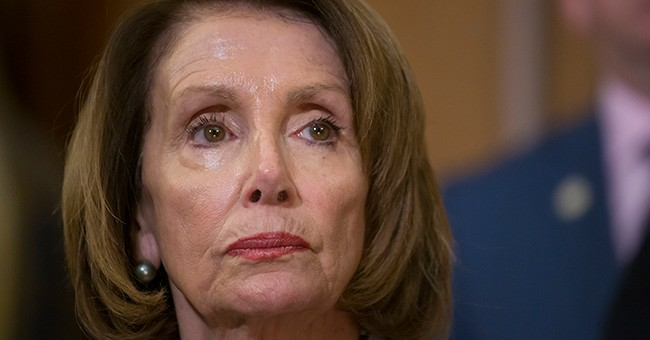 Apparently President Donald Trump wasn't the only one left unimpressed by Speaker Nancy Pelosi's (D-CA) "60 Minutes" interview that aired on Sunday. Liberal filmmaker Michael Moore took to Twitter to remind Pelosi that members of the Democratic Party are tired of her old, tired, privileged ways. While Moore has struggled to maintain relevance in the Democratic Party, his comments do bring about one interesting point that should work in Republicans' favor: the Democrats are going through their own internal struggle right now. They're having to decide just how far left they're willing to go. Progressives, like Reps. Alexandria Ocasio-Cortez (D-NY), Ilhan Omar (D-MN) and Rashida Tlaib (D-MI), have moved the Democrats further to the left, something that people like Sen. Joe Manchin (D-WV) disagree with. Progressives have latched onto this grassroots movement to replace professional politicians, like Pelosi and Sen. Chuck Schumer (D-NY), with outsiders. The reason people like Ocasio-Cortez, Omar and Tlaib received such praise and notoriety is because they challenged the status quo. They're not white. They're not rich. And they're not "privileged" (by Democrats' standards, anyways). But more importantly, they've caused a rift and challenged the status quo, something that excites and invigorates progressives. The 2020 election will be interesting to watch, just to see how this in-fighting will impact the various candidates. Will each of them tout their ability to work with party leaders or will they brand themselves as political outsiders who want to shake up Washington?